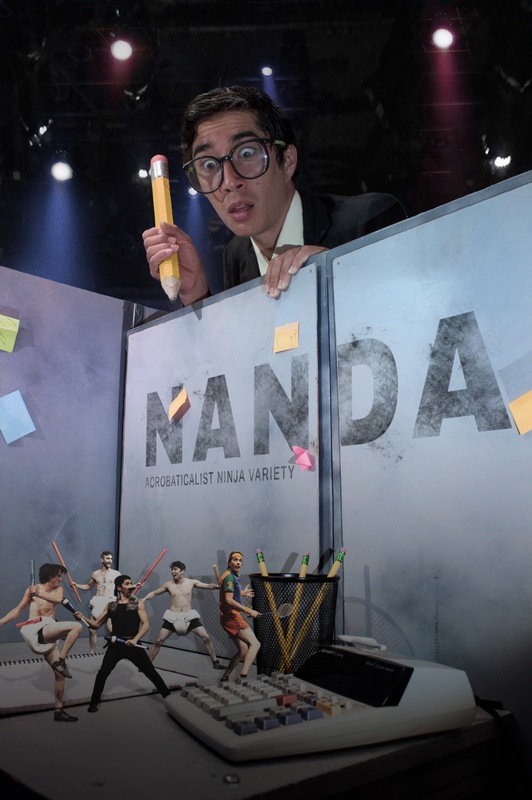 The internationally acclaimed ninja theatre troupe, NANDA returns to the stage with a spectacular new feature length ninja style variety show. This carefully orchestrated typhoon of dance, juggling, comedy and acrobatics is the very first brand new, all NANDA theater show since 2010! Featuring a melange of comedy sketches, skill acts, and signature NANDA style action, the experience aims to provide everything from the visually spellbinding, to markedly zany nonsense, and on to absurd feats of ninja madness. Threads tying together pieces of the performance dip in and out of the action, at times pulling from classic vaudeville and circus traditions, at other times exploding entirely into new amalgamations of theater entertainment - Everything in this show is infinitely pointless, and that is the point!